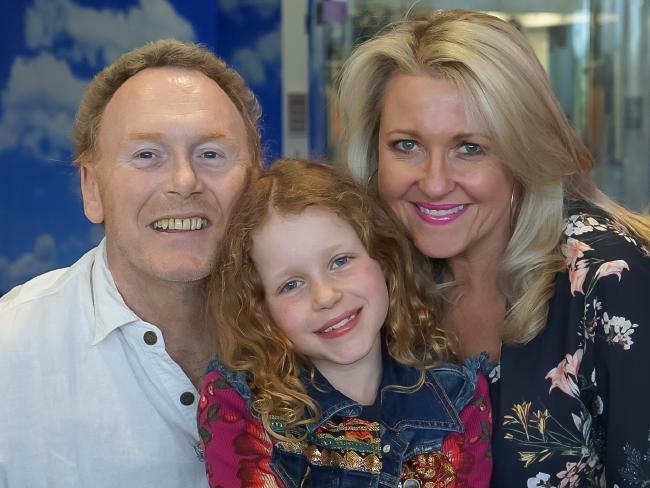 Angela Bishop, a firm fixture on our TV screens for many years, as entertainment reporter for Channel 10, has had a tragedy in her family - her husband Peter Baikie has died, after being diagnosed with a "rare form of cancer" in February 2016. A statement was released on today, with Bishop stating she was "devastated". "It is with a heavy heart that Angela Bishop, family and friends advise you of the passing of Angela's much-loved husband, Peter Baikie," the statement said. "Peter is the adored father of Amelia, brother of Wendy Rylance, cherished son-in-law of Bronwyn Bishop and brother-in-law of Sally Bishop." "His courage in fighting this disease left all that shared his journey full of immense admiration. He found his tower of strength in his wife Angela and the love of his daughter Amelia." "He fought courageously till the end and passed away on Wednesday 22nd November 2017 peacefully, surrounded by his family and friends." Angela Bishop, 50, is the daughter of former federal politician Bronwyn Bishop. Angela and Peter's daughter Amelia is age 10. Josie's Juice recalls being pregnant at the same time as Angela. "Amelia is everything to us. I didn't plan on having her late, that was just when I met my husband [they married in 2005]. And then it took us a couple of years to have her. I would have loved for it to happen earlier. "We were ready, but nature took a while to catch up. We feel utterly blessed to have her and maybe that's because it took a while." The statement contained: "Peter was a car fanatic, a motorbike lover and a gifted mechanic. He embraced life with all it had to offer him - but without doubt his family and friends were the highlights in his world." "The love shown to Angela and family during his final days by Peter's circle of friends is testament to the man he was. He will be dearly missed but forever loved." RIP Peter. Such a sad story.